Visitor parking information can be obtained by stopping at either of the Information Booths conveniently located on Peace Blvd (north) and Ximenes Ave (south). The exact locations are denoted on the Campus Map. The Information Booths are open Monday - Thursday from 7:30 am to 6:30 pm, and on Friday from 7:30 am to 4:30 pm. Paid short-Term disabled parking is available in the below locations at the current hourly rate. 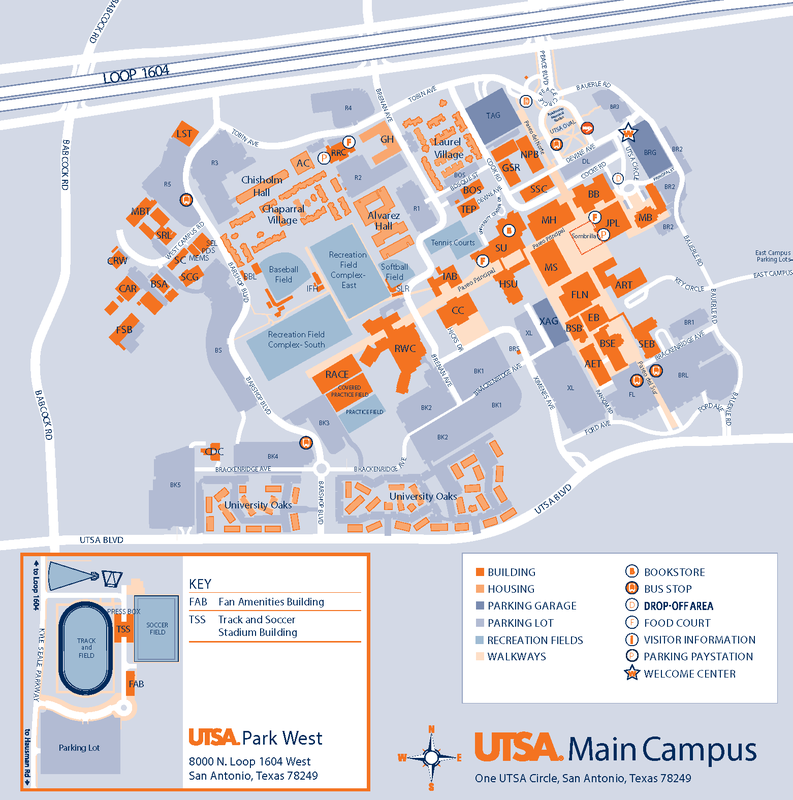 Short-term surface spaces are available at no charge; all other spaces on the UTSA campuses require a UTSA parking permit.